Fearing that its ally Shiv Sena might pull out of the Government, the ruling BJP in Maharashtra has decided to induct more party MLAs into the State Cabinet by the end of the year. 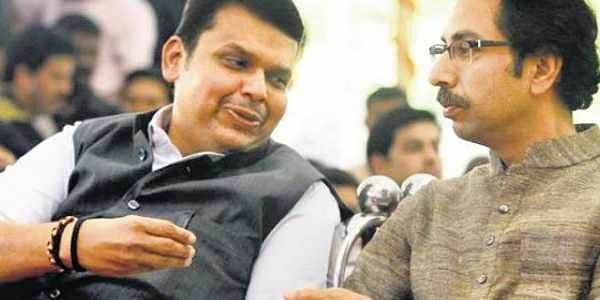 MUMBAI: Fearing that its ally Shiv Sena might pull out of the Government, the ruling BJP in Maharashtra has decided to induct more party MLAs into the State Cabinet by the end of the year, party sources said. The State BJP’s Core Committee met at the official residence of Chief Minister Devendra Fadnavis late on Monday, where decision to defer the Cabinet expansion was taken. Apart from CM Fadnavis, State BJP President Raosaheb Danve, senior leader Eknath Khadse, Revenue Minister Chandrakant Patil, Education Minister Vinod Tawde and Rural Development Minister Pankaja Munde attended the meeting. In the meeting that lasted more than three hours, the Core Committee discussed the political scenario in the State. It observed that Shiv Sena, which is currently upset due to the BJP’s decision to include former Congressman Narayan Rane who defected to the party, may opt to pull out of the Government. Hence, they have decided to pacify the party insiders first and buy more time by holding the Cabinet expansion after the Winter Session, BJP sources said. A senior leader opined that since the BJP is facing growing wrath of people over several issues, the party should wait till Himachal Pradesh and Gujarat Assembly elections results before going in for Cabinet expansion. Another leader brought up re-induction of senior leader Eknath Khadse into the Cabinet, but others opposed this pointing out that cases were pending against him in courts, sources said. On Narayan Rane, the leaders deliberated that his induction could be deferred to a later stage rather than inviting Sena’s wrath during the Winter Session, which will start at Nagpur on December 11. Rane could be enraged, but he wouldn’t do anything to jeopardise his chances of becoming a minister, the leaders opined. The party is confident of completing five years, but it doesn’t want to take unnecessary risks, sources said while interpreting the Core Committee decision.